An Italian Wife is the extraordinary story of Josephine Rimaldi—her joys, sorrows, and passions, spanning more than seven decades. 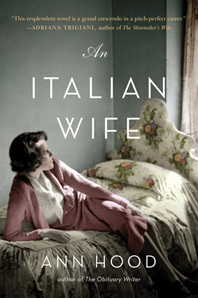 The novel begins in turn-of-the-century Italy, when fourteen-year-old Josephine, sheltered and naive, is forced into an arranged marriage to a man she doesn't know or love who is about to depart for America, where she later joins him. Bound by tradition, Josephine gives birth to seven children. The last, Valentina, is conceived in passion, born in secret, and given up for adoption.